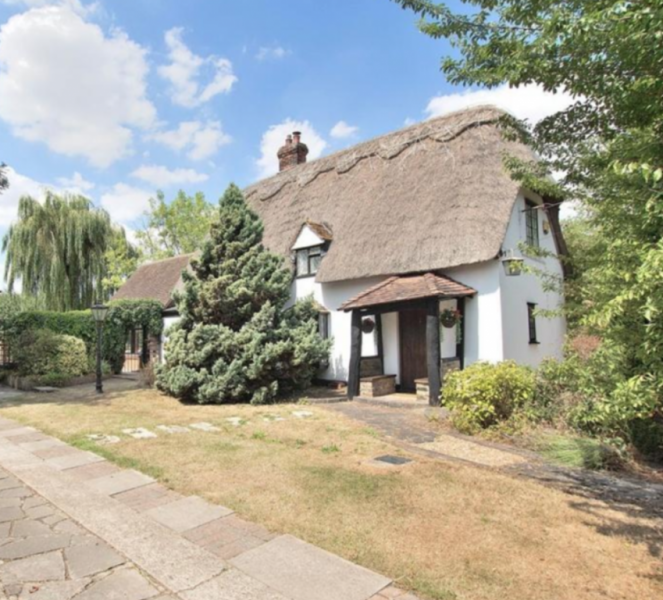 Optimist Design were invited by the client to furnish and stage this beautiful 2 bedroomed thatched cottage in an Essex village. An earlier sale had fallen through, the owners had already moved out with all their belongings, and they wanted to get the house back on the market fast. The first challenge was the timescale, but we managed to complete the project in under two weeks, with greatly appreciated help from our suppliers, particularly Room Service by Cort, who were extremely helpful in assisting with the rental of the large furniture items. The house was a real pleasure to work in, full of original features and charm, but without the furniture it was an unusual layout and wasn’t demonstrating the best use of the available space. The owners had previously used a downstairs room for their young daughter’s bedroom, and although this had worked for them, it felt confusing. The bedroom was repainted and staged as an entrance hall/study/reading area, which give it a clearer identity in the house. The central (originally the main room in the cottage) was furnished and dressed as a dining room, with the newer part of the house becoming the main reception/living room overlooking the gorgeous garden. These changes made the ground floor layout flow better and created a sense of unity between the different areas. We also staged the two bedrooms to show potential buyers what could be achieved in quite small spaces with sloping ceilings. Our client was delighted with the end result and this lovely house is now ready to go back on the market.